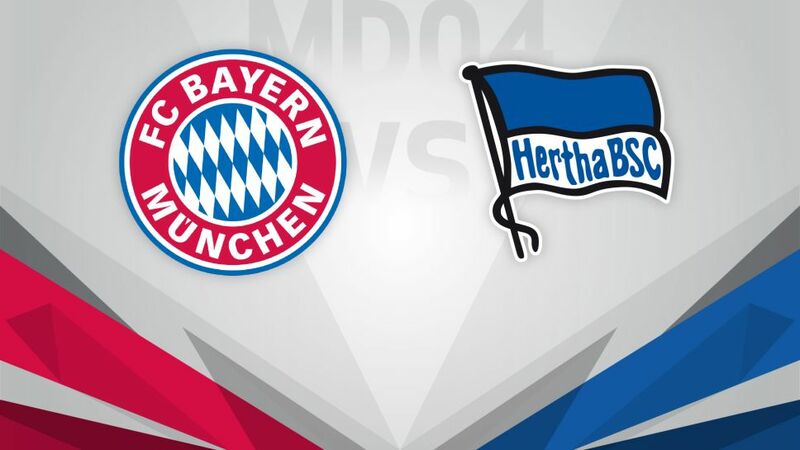 Bayern and Hertha put their 100 per cent winning starts to the season on the line at the Allianz Arena on Matchday 4. The Bundesliga’s top two teams after Matchday 3 will clash when FC Bayern München host Hertha Berlin at the Allianz Arena on Wednesday (kick off 20:00 CEST/18:00 GMT). Bayern maintained their 100 per cent winning start to the season with a 3-1 triumph over FC Ingolstadt 04 on Saturday, coming back from a goal down to eke out a workmanlike victory in the Bavarian derby. The champions boast a good recent record over the Old Lady, having won the last ten meetings between the two clubs. Hertha only trail Bayern on goal difference after three wins out of three in the league, with a 2-0 victory over FC Schalke 04 extending the excellent start from Pal Dardai’s side. Their hopes of continuing that run face a tough early-season test against the reigning Bundesliga champions. Carlo Ancelotti is the first Bayern coach to start his reign with six straight wins in all competitions since Otto Rehhagel in 1995.Robert Lewandowski has scored in five consecutive Bayern matches for the first time.Bayern goalkeeper Manuel Neuer is unbeaten in 14 matches against Hertha, keeping clean sheets in 12 of them.Hertha have only won one of their last 25 meetings with Bayern (a 2-1 home win in 2008/09).The Old Lady's last win away against Bayern came back in 1977.Hertha quintet Thomas Kraft, Mitchel Weiser, Sebastian Langkamp, Alexander Baumjohann and Sinan Kurt have all previously played for Bayern in some capacity.